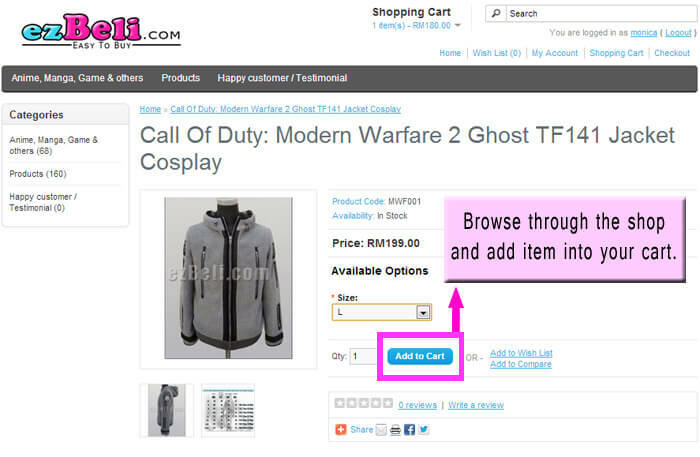 STEP 1: Browse and Add items to cart. 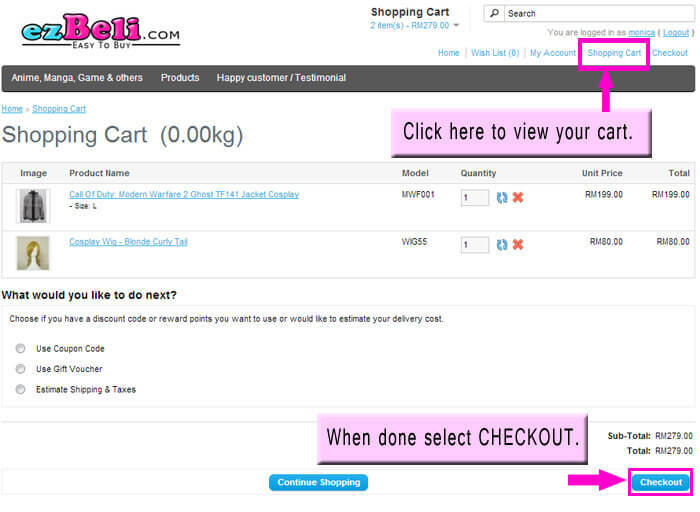 To view selected items in your cart, go to Shopping Cart. Once ready to purchase, go to Checkout. STEP 2: During the checkout process, let us know your preferred payment method, shipping method, billing and delivery details. STEP 3: Press CONFIRM ORDER to finalize the order. Yes! 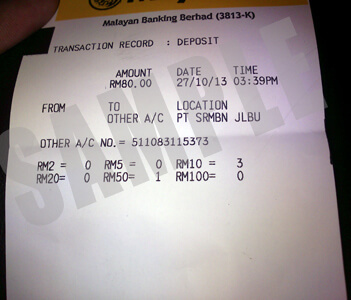 Order Completed Successfully. 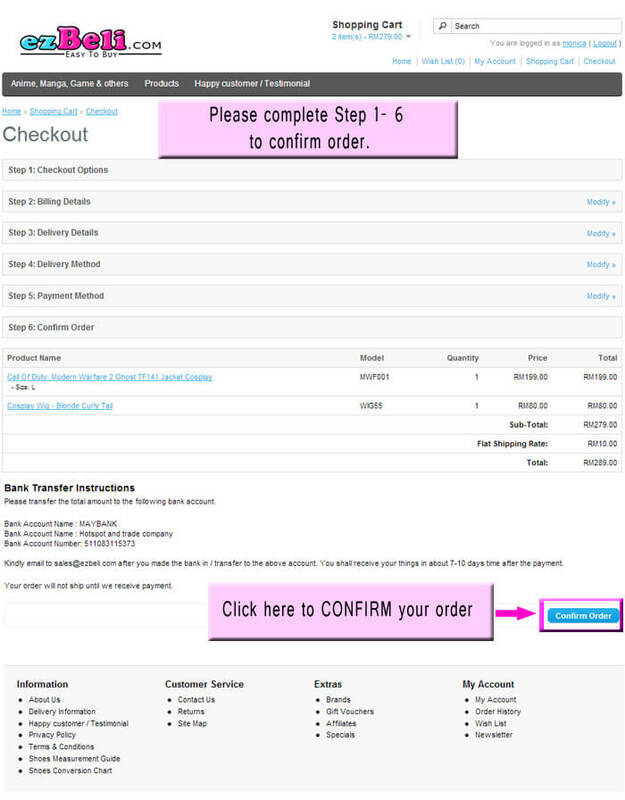 You will receive an order confirmation email as a written acknowledgement with an official order ID. 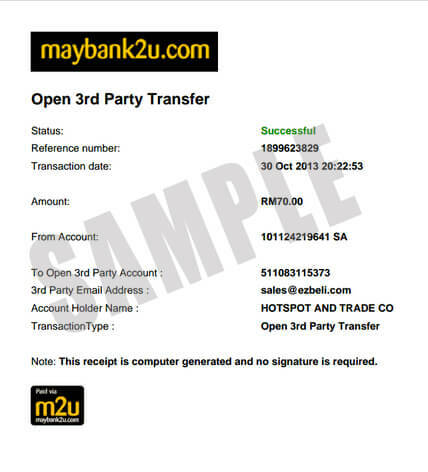 Kindly attach and email/PM your clear copy of valid payment proof to sales@ezbeli.com as soon as possible after you made the bank in / transfer to the above account. You shall receive your things in about 1-2 weeks time(for ready made)/ 1 month(for custom made) after the payment. IMPORTANT: Your order(s) will not be processed/delivered until we receive your payment together with your proof of valid receipt(s).